The Photos tab in the iOS app is list of all photos on your account, plus all photos stored locally on your iOS device. They are all visible and sorted by time. Jottacloud can automatically back up local photos and videos to your Jottacloud account where they are stored safely in their original quality and size. 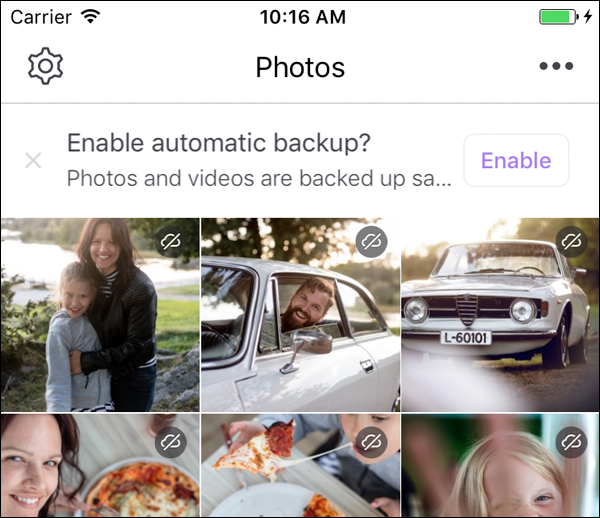 How do I enable automatic backup on iOS? 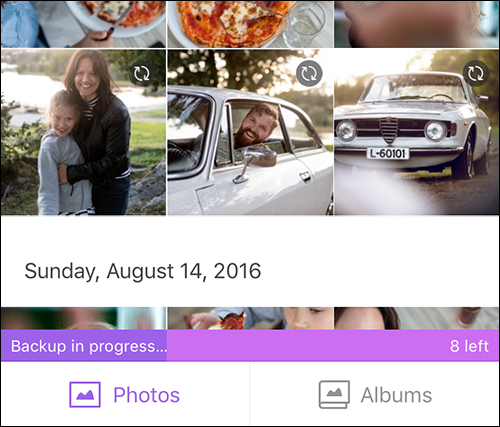 Backing up your photos for the first time can take a long time, depending on your network speed and the number of photos and videos stored on your phone. iOS does not allow apps to transfer photos in the background for more than a few minutes, so it is important to keep the app open during initial backup. You can observe the backup progress at the bottom of the Photos timelilne. 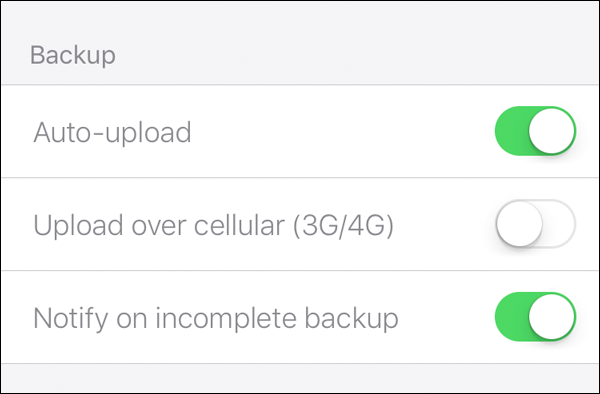 Jottacloud does support back up of live photos on iOS.